Note: You can easily make these parfaits with packet oatmeal. The color will be more tan. A Red, Tan & Blue Oatmeal Parfait is still delicious. 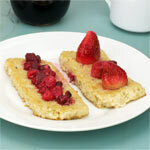 In a medium saucepan, bring the milk to a high simmer - stirring often so the milk won't scold. If it begins to boil, reduce temperature immediately. 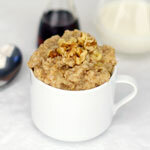 Add the oats and reduce temperature to a low simmer. Stir in the sugar and the vanilla. Cook for 5 minutes or until you reach your desired consistency - stirring occasionally. Turn off the heat and stir in the whipped cream. To create the parfaits, take 4 parfait glasses and layer the oatmeal, blueberries and strawberries in any order you see fit. 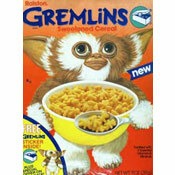 This is a fun and healthy breakfast for the 4th of July. 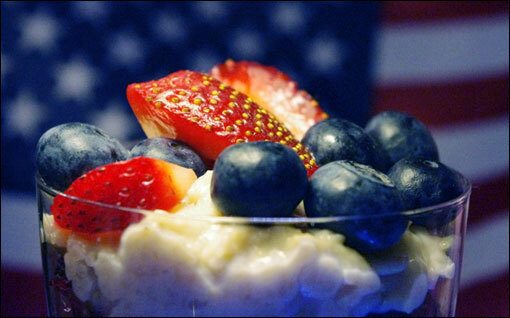 For another Independence Day breakfast idea, check out "As American As Apple Pie" Oatmeal. 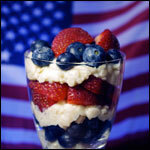 What do you think of Red, White & Blue Oatmeal Parfaits?